Narrated by actor Dudley Moore, this National Geographic video (part of the Really Wild Animals series) integrates spectacular scenery with upbeat music for a trip to the island of Australia. Say "G'Day" as Spin the animated globe takes young viewers to the land Down Under where they can bounce along with some of the unique creatures that inhabit our planet. 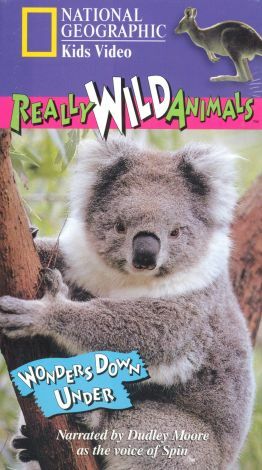 The video shows lovable animals like the boxing kangaroo, the odd platypus and the eucalyptus-eating koala bear. Kids also watch as the terrifying crocodiles go under the water looking for dinner, or perhaps a light snack.